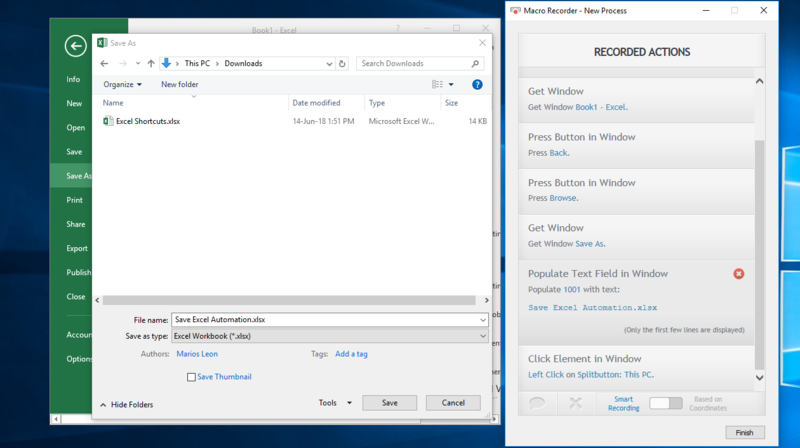 WinAutomation Macro Recorder will set your computer to translate your activities into processes with zero development effort. Just perform the task you would like to automate once and play it back whenever needed. Take advantage of the two recording modes that WinAutomation offers. The “Smart Recording” mode will convert all and the “Based on Coordinates” mode. With the Macro Recorder you can either record your task and play it as it is, or even modify the recording with manual development and merge it with other automations. 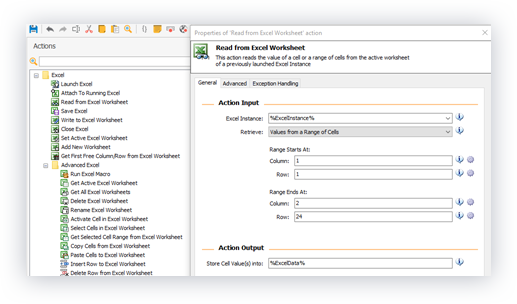 This way you can combine the powerful Macro Recording capabilities with typical drag and drop development in the same process, to make the most out of desktop application automation. WinAutomation offers two recording modes. Smart Recording that identifies and captures all interactions with Windows controls/elements, their contents, Windows panes, toolbars and menus etc. The Based on Coordinate Recorder will capture all your mouse clicks and keystrokes and automate their sending with the Auto Clicker. 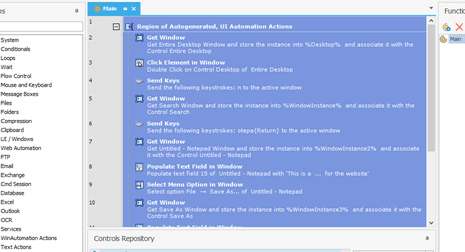 Emulate a user idly clicking by or test for stress when multiple requests are made to a User Interface etc. 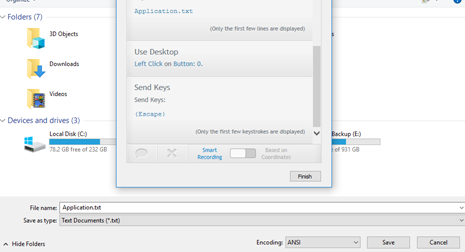 Automate all the sequences that you usually type, assign them to a hot-key and fire your Coordinates Macros whenever you need them. No more typing over and over again, or perform numerous mundane clicks to complete your tasks. The Macro Recorder makes automation easy for anyone and not just for the programming-inclined. There is no need to learn another proprietary scripting language, with WinAutomation all is done via the simplest point and click interface.